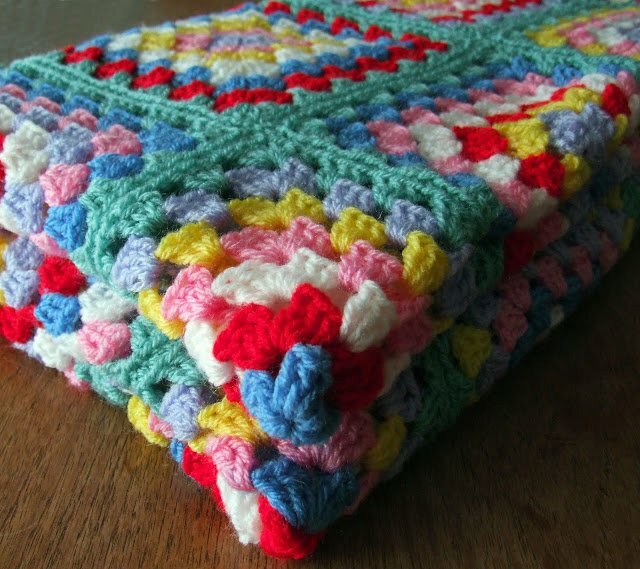 I’ve been busy, busy this week working on three different blankets. I haven’t had time to write out any of my designs or sort out the big mess that is my wool stash! I’ve completed a single blanket for Cumbrian Country Crafts. 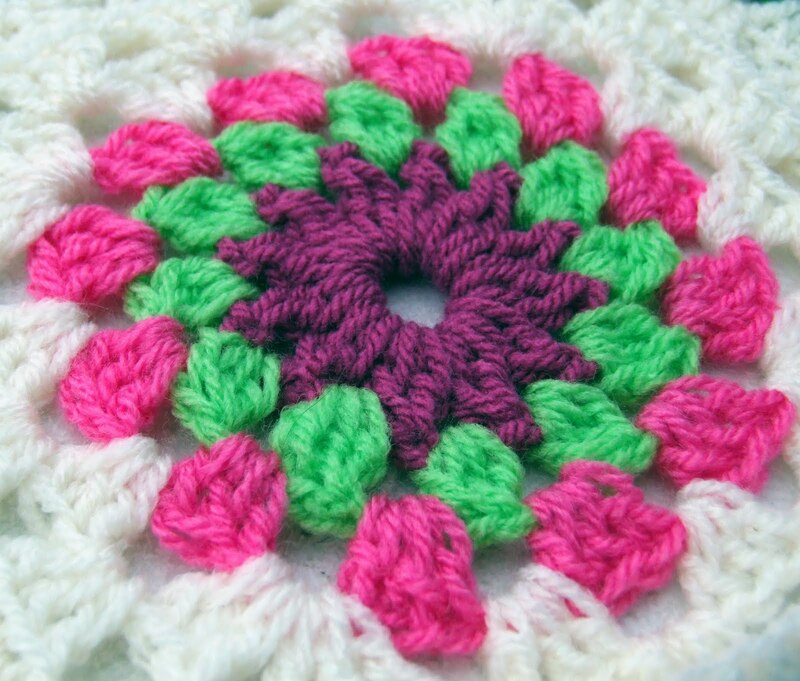 The colours are gorgeous – I wish I had time to make one just for me! I’ve also been working on another Field of Flowers blanket. This time I’ve used different colours for the flowers. The pattern is available to purchase here on my Ravelry store. It’s not quite finished yet but here’s a sneak peak…. 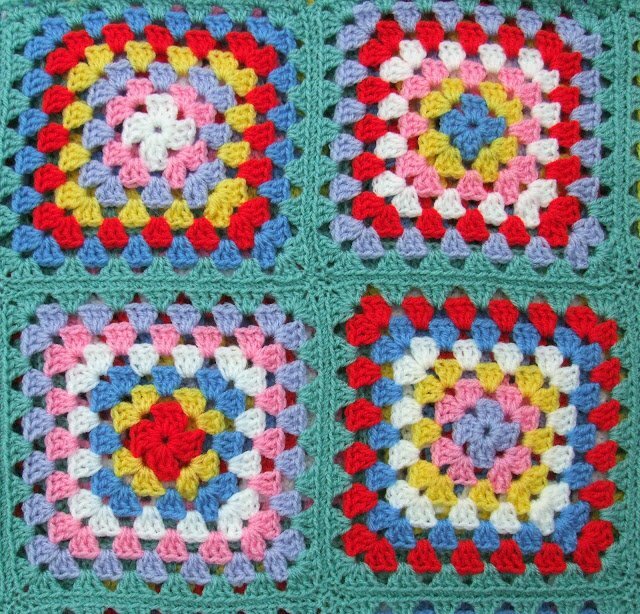 I’m in the middle of joining the squares of the third blanket so will add pictures soon. Hope you all have a lovely weekend! Update: Read more about my Field of Flowers pattern here. Babette Baby BlanketGranny Blanket Finished! I love the central starry shape. 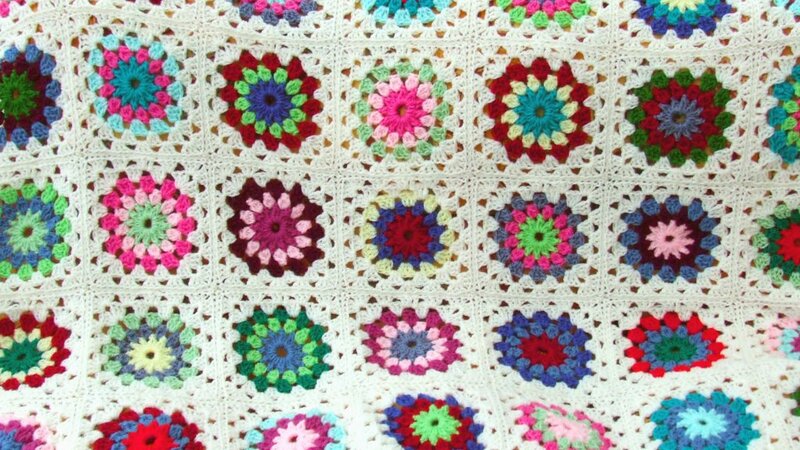 It's such a pretty pattern, I've just purchased it, even though I don't know what I'm going to make yet! Thank you for your purchase!!! 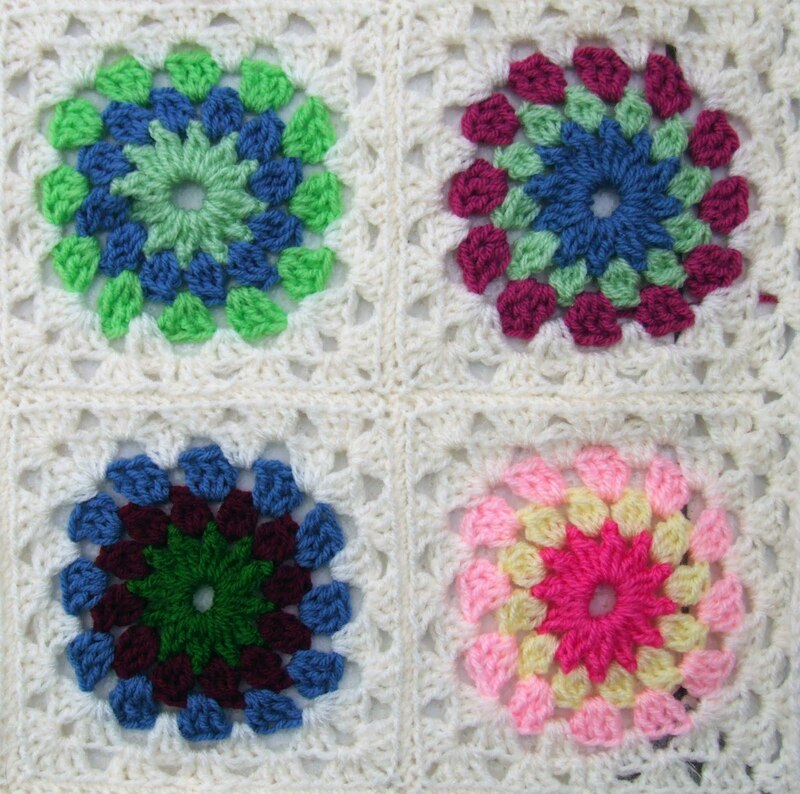 You could make a cushion cover by joining four squares on either side, or a scarf in sumptuous wools!